If you see my last few posts, you would realise that I have been writing mostly reviews as life turned hectic when I took up the full-time project in January. Now that the project is phasing out soon, I am getting some time at hand, including the missing inclination to create. During these last few months, V kept insisting on me making some thing new or even something old in the kitchen, but I wasn’t ready. After seeing my resistance to create, the other day, V asked me haltingly if I could make him some evaporated milk a.k.a. 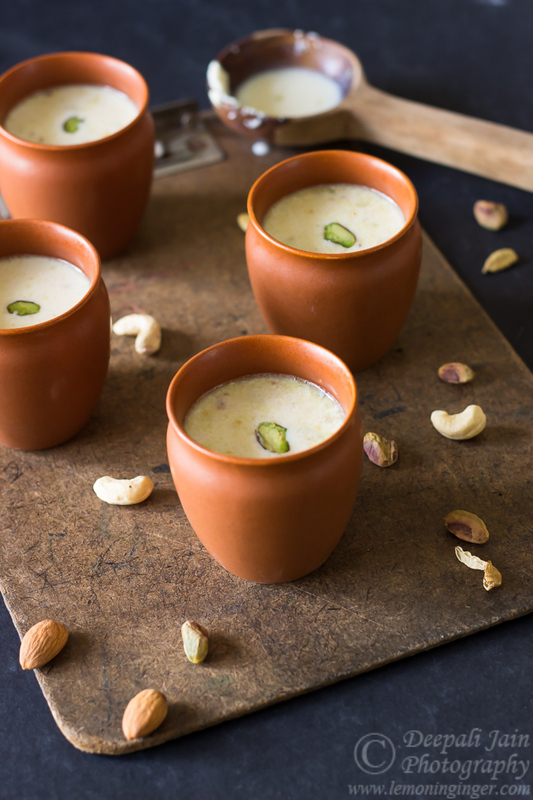 masala doodh. I happily agreed without a single BUT. I was more surprised than him actually. Yes, I know I have been thaaaat bad. 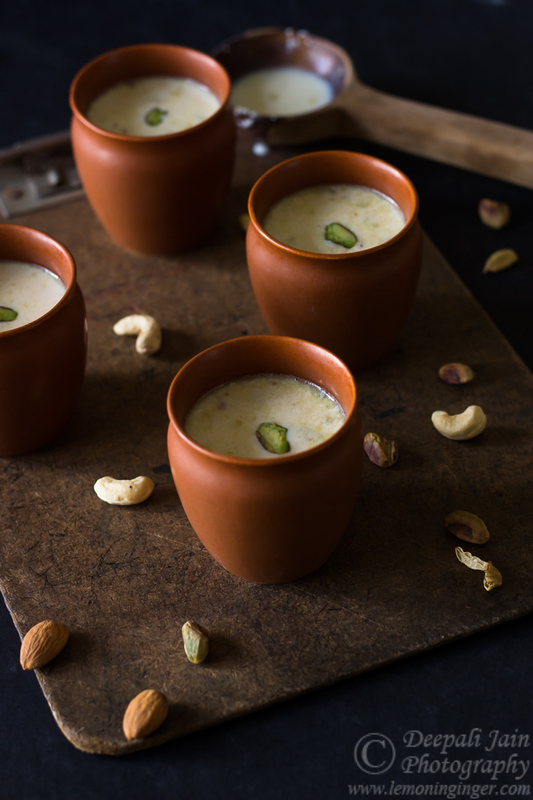 Kadha doodh has strong memories attached to it as in north India, in winter months drinking this delicious concoction is a very common sight. It is flavourful, generously envelop you in the warmth and when sipped in earthen pots (kulhad) it taste the best. It is pure heaven on earth and knowing I can make it at home with very little effort is a blessing. 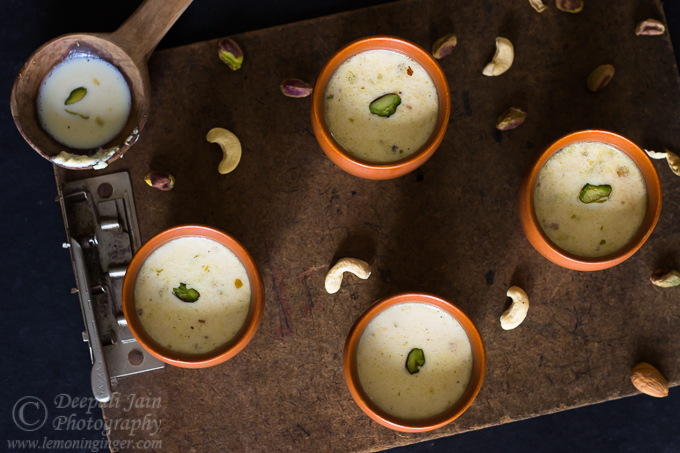 For the masala doodh, I used my old recipe of basundi, and just evaporated the milk for a shorter period and kadha doodh with perfect consistency was ready. Apart from V singing its praises, even my neighbour loved it. 1. In a thick bottom vessel, boil milk on slow till it reduces to three-fourth. Continue to stir in between to avoid burning the milk. 2. In the meanwhile, finely shop or crush all the dry fruits. You can pulse twice also using the mixer jar. 3. When the milk has reduced, add all the crushed dry-fruits while stirring. Allow it to cook for another 1-2 minutes. Add sugar and give a complete boil. Remove from flame. 4. Serve hot, warm or cold. I served chilled.